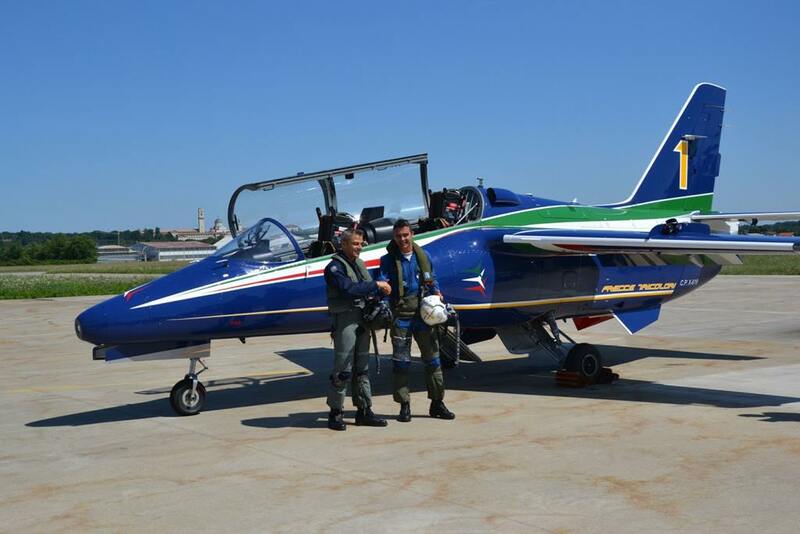 Former Frecce Tricolori Commander tests the M-345. On July 3, 2014, a former Commanders of the Frecce Tricolori, Maj. Pil. Jan Slangen, took a test flight of approx. 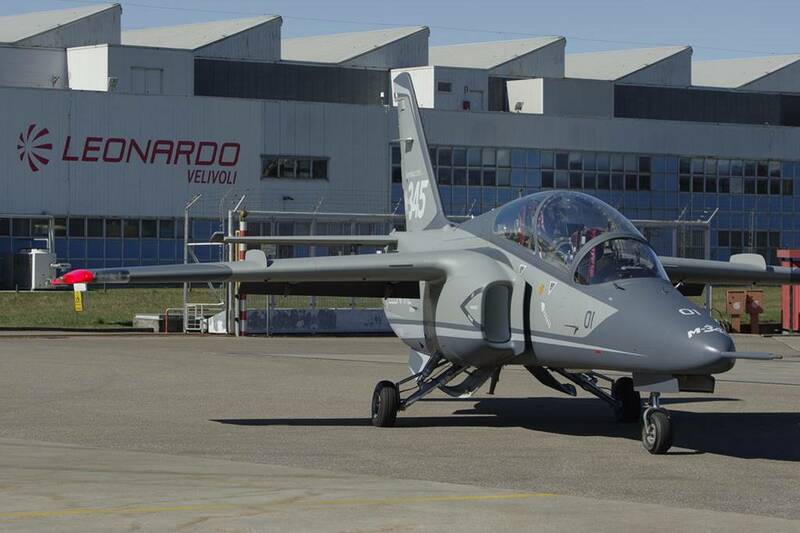 1 hour on the prototype of Leonardo's new training jet, the M-345HET. "It is a very interesting platform, with a very high potential, both as a training and acrobatic aircraft. We took off from the Venegono runway [Leonardo's plant of Venegono Superiore, Varese] to head into the operations area and set up a short demo by executing a sequence of maneuvers included in our [Frecce Tricolori] acrobatic program. I'm very satisfied with the energy response of the aircraft, its maneuverability and low consumption. Obviously it is still a demonstrator that needs some improvements, but they are easy to introduce and already planned in the final development of the prototype," Slangen said. The improvements suggested by Slangen are all included in the serial aircraft that completed the first flight at the end of December 2018. The M-345 will enter the fleet of the Italian Air Force within 1 year and subsequently it will become part of the Frecce Tricolori fleet. The jet on which Slangen flew (CPX619) had the livery of the Frecce Tricolori, but today it wears a gray color. The Frecce Tricolori is the acrobatic team of the Italian Air Force, it is known and appreciated all over the world for its powerful and exciting acrobatic program. Not all jets have the potential to be taken in charge by the pilots of the team and the choice of the M-345 shows how the Italian industry is able to design excellent products. Leonardo has designed, manufactured and supported over 2000 trainers, sold to more than 40 nations. Today, the Company is the world leader in pilot training, thanks to a product range that covers the entire training syllabus: from basic, with the new M-345, to advanced and lead-in fighter training, with the M-346. The Company’s range of solutions also includes a Ground Based Training System (GBTS), fully integrated with the aircraft and able to provide high quality training while improving efficiency. These platforms and systems allow Leonardo to offer a turnkey training solution for customers worldwide, delivering the highest quality standards at all stages of training.